Another tastegw (Jeremy Blaylock) classic. We love the unique feel of a short course that still brings the challenge. 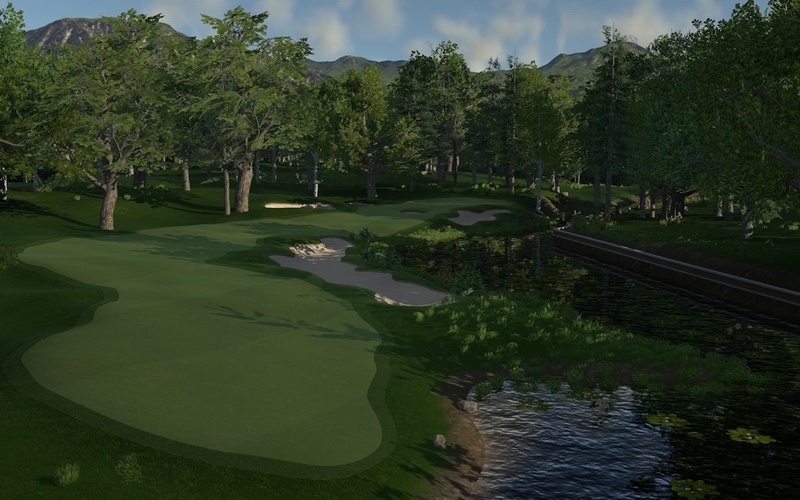 This course is not perfect, as many bunkers could have used some additional TLC, and a few holes (mainly their tee shots) are a little hokey, but this course is a lot of fun and an interesting round of golf. For those that don't have the a higher end rig, there is a "lite" version of this course for you, too. First impressions mean a lot, and upon the first glimpse of the beautiful vista of a wide sloping fairway, with thoughtfully placed shrubs, and a loving crafted hazard, complete with retaining wall, lily pads, and ducks, I couldn't wait to see what else the course had to offer. Right away I figured out that this course needed to be met with a plan, going after a pin with no consideration to the landing area generally resulted in being punished. I found it important to land close to the pins, as most greens presented a tough but fair challenge challenge with regard to their slopes, there were very few times where birdies were easily given away. The most striking aspect of the game play was how significant of an advantage one could have if they had mastered the art of shot shaping. Alternating both dogleg right and left, with varying degree of bend, as well as bith uphill and downhill greens, made each hole feel unique, (with a couple exceptions.) I will say that I was repeatedly punished for improper use of slice/draw, but when I hit one good, it was sweet! There were also a couple of very cool risk/reward holes, including a couple of shortish par 4s, and 15's split fairway that will let you either go left for a longer trek to reach the green in regulation, or take the right side with a much shorter distance to the green in 2, but would require an artfully crafted shot up an over trees. 17 was awesome in how it was bisected by a creek, and you had to choose just how much you wanted to cut by where you choose to shoot, extreme greed will be punished! 18 may be the most unique finishing hole that I've encountered in the some 400 different courses that I've played! Time after time I was impressed with the visual surroundings, A LOT of detail was given to the placing and constructing of homes, docks, boats, and most notably the beautiful use of a retaining wall. 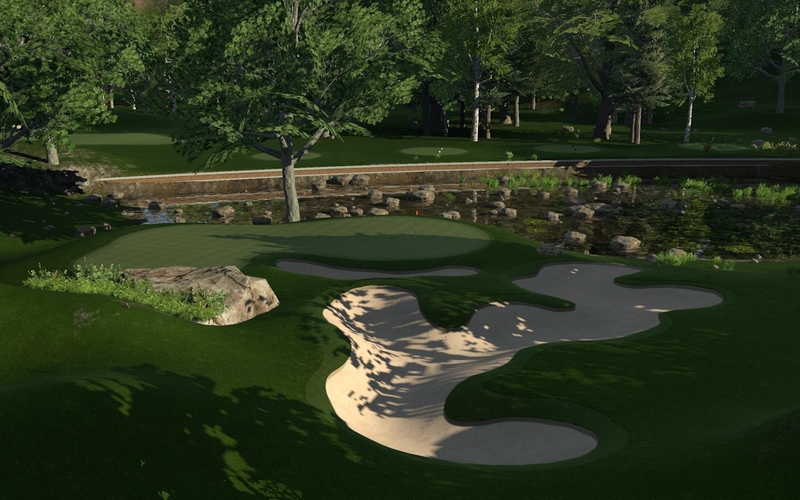 Quite stunning, considering this course was one of the earliest submitted to tgctours. I'm sad to say not everything was perfect. The Par 3s all kind of felt like the same hole. Elevated tees shooting down slope to the green. I also found a lot of the bunkers to be very awkward, placed on slopes, giving them that goofy appearance, or placed well short of landing areas where they will never factor into game play, or just thrust out into the no man's land of the deep rough, where if you land, you're already screwed so what's the point? Fairways were also a little too generous in a lot of areas. Overall, I really enjoyed the course, and see that it has received far more traffic than what was posted on the course directory. 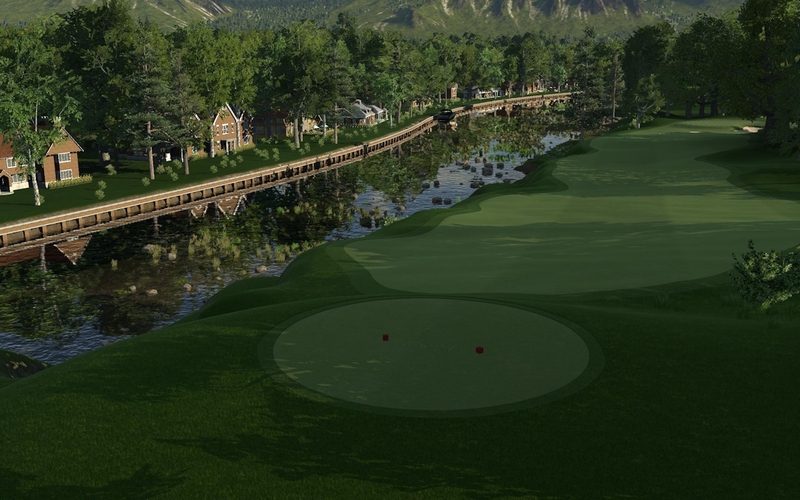 if you're looking for a neat course that's handicapped rated, give it a play through!